RIO BLANCO Masonic Lodge #80 meets 2nd and 4th Thursday, 7:00 p.m., at 7th and Park, Meeker. Driver License Office hours: Meeker open 1st, 3rd & 5th Fridays of the month, 8 a.m. to 4:30 p.m. Rangely open 2nd & 4th Friday of the month, 9 a.m. to 4 p.m. Craig open full-time Monday through Thursday, 9 a.m. to 4 p.m.
Rangely Victim Services – An open door for the protection and care of abused and battered persons. Non-emergency, call 629-5729. Emergencies call 911. Providing assistance for victims of violent crimes. AA & Al-Anon Meetings – Rangely Alcoholics Anonymous – Open meetings Tues & Thurs, 7 p.m., 115 Kennedy Dr., St. Timothy’s Episcopal Church, Rangely. Al-Anon meets Monday, 8:15 p.m., 207 S. Sunset, 1st Baptist Church, Rangely. Al-Anon info call 970-629-5064 or 970-629-2970. MOPS (Mothers of Preschoolers) meeting, open to anyone with a child 0-5 years, Grace Baptist Church, Rangely, first Thursday of every month, 9 a.m. to 11 a.m. Info. (970)778-5278. Meeker Cat Coalition accepting cat food or monetary donations for spay/neuter and health care. Donations may be left at the Vet Clinic in Meeker or call 878-3560 or 878-4429 for more information. Come Visit the Meeker Public Library! Hours: M,W,F 9:30-5:30, T&Th 9:30-9:30, Sat. 9:30-2:00. Weekly children’s story hour, books on tape, DVDs, magazines and Wi-Fi available. Rangely Rockcrawling & 4 Wheel Drive group in Rangely meets the 3rd Tuesday of each month at the Rio Blanco Water Users Building on Hwy. 64 at 7 p.m.
Veterans Service Offices Rio Blanco County: Veterans Service Officer – Joe Dungan, Wednesday, 1 p.m. to 3 p.m., Town Hall, 345 Market Street, Meeker. 878-4591 office, 878-3219 home. Rangely: Veterans Service Officer – Norman Hall, Sr., Tuesday and Thursday, 1 p.m. to 3 p.m., County Annex, 17497 State Hwy 64, Rangely. 878-9695 office, 629-9767 home. Alcoholics Anonymous Monday 8 p.m., Friday 7:00 p.m. St. James Church, Richards Hall 4th & Park Ave., Meeker 878-4158, 878-4888, 878-5919, 878-5636. MEEKER LIONS CLUB BINGO – 1st & 3rd Wednesdays Dinner 6 p.m., BINGO 6:30 p.m. RBC Fairgrounds Exhibit Hall Progressive Bingo Concessions & Dinner Available Meeker Streaker available for transportation to Bingo, call 942-7125. VFW Post 5843 and Ladies Auxiliary monthly meetings are now held at Kilowatt Korner in Meeker: VFW Post 5843 – 6:30 p.m. 2nd Monday. Ladies Auxiliary -5:30 p.m., 2nd Thursday. 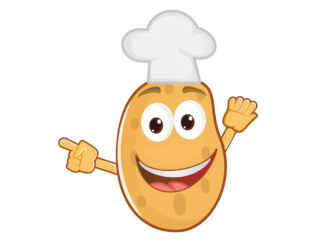 RADINO & CHUCKWAGON – Please call before 9:00 a.m. day of meal 878-5627 or 675-8112 Senior Citizen Nutrition Program Meals served at noon. 1st & 3rd Tuesdays meals 5:30 p.m. Suggested Donation Over 60- $2.50.Under 60 – Guest Fee $7. Children under 12 – Guest Fee $3.50. Menu subject to change. FRIDAY, MAR. 26: Chili relleno casserole, Spanish rice, tossed salad, fruit cocktail. CAL:719; PRO:31; FAT:24; CAR:94; CHO:70; SOD:1425. MONDAY, MAR. 29: Meat loaf, mashed potatoes, beef gravy, vegetable medley salad, applesauce. CAL:879; PRO:49; FAT:37; CAR:89; CHO:116; SOD:1059. TUESDAY, MAR. 30: Baked chicken, noodles Romanoff, Monte Carlo vegetables, Under-the-Sea gelatin mold. CAL:794; PRO:49; FAT:31; CAR:80; CHO:131; SOD:678. WEDNESDAY, MAR. 31: Ham & beans, pea & cheese salad, plums, cornbread. CAL:673; PRO:33; FAT:18; CAR:95; CHO:57; SOD:1515. FRIDAY, APR. 2: Easter dinner – baked ham, potato salad, asparagus, Jello eggs, peaches. KEY: CAL=# of calories; PRO=grams of protein; FAT=grams of fat; CAR=grams of carbohydrates; CHO=milligrams of cholesterol; SOD=milligrams of sodium. Meeker Community Blood Drive, Weds. March 31, 10 a.m. to 2 p.m. at Meeker High School. St. Mary’s Regional Blood Center will be here. Photo ID required. ATTENTION ELIGIBLE VOTERS! If you want to vote by MAIL in the upcoming May 4th ERBM election you need to complete a mail-in ballot application in person with Shay Bain the designated election official (DEO) for the ERBM Rec District, 7 a.m. to 4 p.m. Monday through Friday, no later than Friday, April 30, 2010. If you want the mail-in ballot mailed to you, you need to file your mail-in ballot application no later than Tuesday, April 27, 2010. Special Districts have their own election rules and ballots. We are NOT included in the permanent county mail-in ballots. You need to file a mail-in ballot application with each Special District to receive that District’s ballot by mail. If you want to vote IN PERSON on election day May 4th, our polling place is: Fairfield Center, 200 Main Street, Meeker, Colorado from 7 a.m. to 7 p.m. CANDIDATES ARE: Dale Hallebach, Kristine Arcolesse, Zach Clatterbaugh, Carly Schayer Thomson, Thomas Kennedy and Jeannette Shepherd. Positions that are up are:Dale Hallebach, Joe Nieslanik, Beth Willey. ERBM Rec District Shay Bain, DEO (970)878-3403. Meeker Community Stations of the Cross, Good Friday, April 2, noon on the Rio Blanco County Courthouse grounds and Easter Sunrise Service, Sunday, April 4, starts at 6:45 a.m., sunrise 7 a.m. at Meeker High School football stadium. Presented by Meeker Ministerial Alliance. Rangely Elks Lodge #1907 will be hosting its Annual Elks Easter Egg Hunt at Elks Park, Saturday, April 3 at 10 a.m. Egg coloring will be Thursday and Friday, April 1 and 2, 4 to 7 p.m. at the Rangely Elks Lodge. Too tired? Work too much? Moving and need someone to clean your home, apartment or office? Call me (Lupita) at (970)878-4330 or (970)620-1477. Prices vary upon size of unit. I will provide cleaning supplies. 3-K CONSTRUCTION For all your concrete and dirt needs 970.824.7710, 970.629.2574. FRASER CONCRETE & STUCCO Over 20 years experience. Residential, Commercial, Insured Foundations, footers, walls, sidewalks, curb and gutter, exposed aggregate Ken Fraser – owner, Meeker, CO. Ph: 970.878.9878, Cell 970.620.6559. Excellent quality hay, small 75-lb. bales, $3-5/bale. 675-8759. Circle Y all-around roping saddle, 16 inches. Good condition, $700. Call for more info. (970)629-1178 or (970)629-2370. Need your horses trimmed, shoed or trained? Please call Jeff at (970)878-9866. Reasonable prices. Get your P90X, Insanity or other Beachbody programs from us and we’ll help you get fit! Independent Beachbody Coaches – Caitlin, http://www.beachbodycoach.com/purerose313, (970)629-1178 and Pat, www.fit444.com, (970)948-7617. Window & Patio Door Replacement Roofing & Siding Pride in Workmanship Steve Steele Steele Roofing & Siding, LLC 970-878-3758. ASK ABOUT OUR CNC MACHINING Can’t get a metal part? We can make all kinds of parts. We have CNC Machine equipment, lathe and tooling to do the job. Contact Phil at Family Automotive and Machine. (970)878-5606. Don’t put away your winter clothes which need mending or new zippers. It might snow on the 4th of July. Call The Seamstress at 878-3193. DOG GROOMER: now in Rangely, call 675-2078 or 640-0063 to set up an appointment. Designer “Boxador” (1/2 Boxer – 1/2 Labrador) 6 week old black, adorable puppies for sale, $25. Call (970)878-3761. Ellen Robinson Photography – Complete High School Senior Portrait Package $200. Wedding Packages available too! Example on Web site: www.erphoto8.com Call 878-3621 for appointment. Fairgrounds Multi-purpose Building (Meeker): Last weekend in March! Sat. March 27 and Sun. March 28, 8 a.m. to 4 p.m. MULTI-FAMILY YARD SALE. Mechanics dream – LOTS of tools! Furniture, clothes and misc. SCHOOL SALE held by Rangely Public Schools for everyone in the community. Saturday, March 27, 7 a.m. to noon at the old Parkview Elementary Items include: Desks (student and teachers), tables, chairs, TV, TV carts, shelving units, Lots of other items. No reasonable offers will be refused. For information, please contact Alicia Cushman at (970)629-2203. 411 E. Third St. (Dinosaur): Saturday, March 27, 8 a.m. to 5 p.m. LANDFILL MANAGER (REVISED #2) – Rio Blanco County is currently seeking qualified applicants for the Solid Waste Landfill. This position manages and oversees the operation of the county landfill; supervises landfill personnel and is responsible for compliance with all applicable federal, state, and local laws and regulation. Minimum requirements: High School Diploma or equivalent; public relation skills; 3 years managing a solid waste landfill facility; 2 years heavy equipment operation experience with loader, dozer, compactor and dump truck; ability to enforce regulations; ability to operate electronic scales; ability to keep accurate records; ability to develop and manage budget; ability to operate personal computer using specific programs; valid Class B Colorado Commercial Driver’s License. SWANA Certificate preferred and is required within 1 year of hire for continued employment. This is a full time position with benefits. Salary range: $3,808 – $4,472/mo. 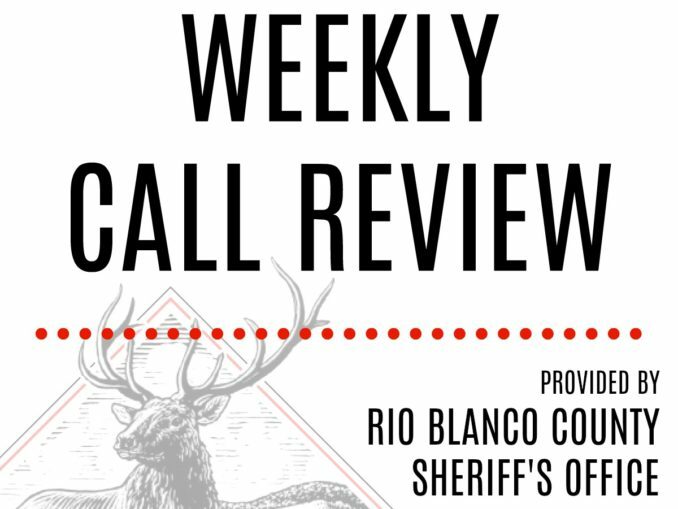 To apply, submit a completed Rio Blanco County to the Personnel Department at P.O. Box i, Meeker, CO 81641, (970) 878-9570. Applications can be obtained from the Personnel Department or website, www.co.rio-blanco.co.us/personnel and are due by: April 23, 2010, Job No. 1006 EOE. Rangely District Hospital has an opening in housekeeping. Full time position Monday through Friday with some on call shifts. If you are interested, please contact Kristin Beery at: kbeery@rdh.org or (970)675-4225. EOE. The Rangely Rural Fire Protection District is accepting letters of interest from individuals and/or firms willing to provide accounting/bookkeeping and general office duties for the Fire District in Rangely. Work would include compiling annual and month-end financial statements, as well as bookkeeping services, including journal entries for the three funds that the District maintains. Additional services include board meetings, minutes, budget development, payroll, etc. More information and a complete listing of required services can be requested by contacting Rick Brady, Chairman, for the Fire District at 970-629-9398. Please send your information to the Rangely Rural Fire Protection District, P.O. Box 220 Rangely, CO 81648 by April 8, 2010. Trucking company seeking part-time bookkeeper. Please call (970)620-5731 or fax resume to (970)878-4254. Temporary Summer Help Wanted The Town of Meeker is accepting applications for a person (5 days a week, 8 hours a day position) from May through August to work in the parks mowing the grass, irrigating, weeding and other duties as assigned. Must hold valid driver’s license and be 16 years or older. Applications and further information are available at Town Hall, 345 Market Street, Meeker, CO 81641 or requested by telephone(970)878-5344. Application forms will be faxed upon request and may be sent back via fax or email. Applications must be received at Town Hall no later than April 15, 2010 at 4:30 P.M. Pay $13.00 per hour. Affirmative Action/EqualOpportunity Employer. Diaz Stucco – Licensed and insured contractor. Complete stucco, stone, drywall, tile, remodeling, new homes. (970)986-2320. 1452 Mountain View Rd, Sage Hills: 3600 sq. ft., 4 BDR, 3 BA, office, great room, rec/theater room, work shop, 3 car garage. Virtual tours and more details at www.WesternSlopeFSBO.com and www.meekercolorado.com. Price lowered to $435,000. (970)243-7083. Friendly, charming house looking for new owners: 3251 County Road 15 (Meeker). Location unparalleled for convenience and privacy. Excellent water well (no need to haul water). Mature trees, creek, large fenced backyard, deck, nice front yard, large detached garage. Horse and/or livestock ready. 4 BDR, includes master suite. Huge kitchen/dining room with stone floors and counters, large island, Jenn-Aire gas stove. Family room. Formal living room with gas fireplace insert. Partial radiant floor heat. Powder room. Kids’ bathroom has three sinks with separate shower. Carpet allowance at closing so you can choose your own new color and style before you move in! Asking $325,000. Motivated sellers. Pictures at www.westernexposures.com or call (970)878-5877 to see. 4694 County Rd. 15 – 4 BDR, 2 BA home on 5 acres. Nice interior, horse fenced, sheds, privacy, million dollar views, $315,000. Can be viewed at: www.westernslopefsbo.com 878-4760. Beautiful view from 1350 Sage Ridge Road in Sage Hills on huge double lot. 4 BDR, walk-in closets, connected family, living, dining rooms, 3 full baths. Walk-out basement with large shop. Superbly insulated, gas furnace & fireplace, water conditioner, central air, electronic air cleaner. Easy to heat, low utilities. $289,000 (Priced $60,000 below appraised value). Pictures at www.ForSalebyOwner.com (listing 22444696) or westernslopefsbo.com. Call 970-878-3228. PLAYA DEL RIO APARTMENTS 680 WATER ST, MEEKER, CO 2 BDR, 1 BA available for lease. Rent includes all utilities EXCEPT ELECTRIC. Large Closets. All appliances, including dishwasher, disposal, microwave. On-site 24-hr. laundry. Large backyard ON THE RIVER. Security deposit required. Rents from $650 to $850/month. Flexible lease terms. Storage units also available for tenants. No Pets. CALL US TODAY 970-878-5187. The Flying U Guest House & Lodging offers nightly, weekly and monthly rentals. Rooms have queen beds, living room, kitchenette, bath, cable TV. Very private, quiet and relaxing. Parking right in front of your door. We also offer a fully equipped fitness studio. All rooms are non-smoking. No partiers or hard drinkers. The Flying U is a very beautiful setting. A Quest for Excellence. Call (970)878-3540 or (970)314-4908. For a limited time first and last month free with 1 year lease. $950 per month with 1 year lease. Utilities paid except TV and phone. 2 BDR, 2 BA, fully furnished, newer apartments in Meeker. New Ownership. Close to Rec Center. Stack washer/dryer in every unit, A/C, cable/satellite ready, NS/NP. (970)963-8818. 2 BDR, 1 BA apartment, you pay cable & electricity, all other utilities provided, $600/month. Also have 2 BDR, 1.5 BA townhouse, $750/month. 878-3363. The former BLM Building west of Meeker is for rent. The building consists of approximately 10,000 square feet of office space. Interested parties may contact the Meeker Re-1 School District, Doug Pfau Superintendent, at 878-9040 for more information. APARTMENT FOR RENT: 10th Street, 2 BDR, 1 BA. Rent includes heat and hot water. On-site coin laundry. Tenant pays electric. Available month to month or lease. Call (970)488-9840 or (408)289-8900. House for sale or rent: Furnished 3 BDR, 2 BA, w/d, fireplace, great neighborhood, nice view, NS/NP. References required. $1,100/mo.+gas/electric. $200,000. 878-3162. Quiet in town riverside location, RV spaces with city water and sewer, 15-30-50 amp electrical, $20/day, $500/month. (970)220-2150. 1 BDR small house, fully furnished, includes cable TV, electricity, DSL, washer/dryer. Available March 1. (970)629-9714. Large home close to Meeker. Unique property. 2 year lease. $3000/month. Deposit and references required. (970)274-6850. Fully furnished 5 BDR including linens, laundry and kitchen facilities. Close to Meeker. $600/room per month. NS/NP. 878-5080. 12TH STREET APARTMENTS 2 BDR, 1 BA, heat, hot water, cable included. Call (970)261-1441 or (970)878-3739. 3 BDR, 2 BA furnished home, sun room, updated kitchen & bathroom, clean has 1 car over-sized garage. 878-3758. For rent: Furnished, 1 BDR apartment. All utilities included. $600 per month, $500 deposit. 878-4754. NICE, spacious 1 BDR home. Partial utilities included, $675/month. (970)948-4863. CLEAN, 1 BDR, 1 BA apartment. All utilities & trash service included, $500/month. (970)220-2150. 3 BDR, 1 1/2 BA townhouse, kitchen appliances, w/d. $800/month+security deposit. (970)464-4641. Commercial Office Space in town square. Paid utilities with private parking. Call 878-4323. Commercial office space available in Hugus Building, downtown Meeker. 878-4138. For rent: 3 BDR, 2 BA, $900/month plus utilities. 878-3338 or 878-3736. 3+ BDR house, 2 BA, big fenced yard. Call Michele 878-3394. Homes for rent, in and out of town, reasonable rates. Call John at 878-5258. 2 BDR house, lots of storage, no pets, $800/month. Call Bill (970)629-1510. 3 BDR, 2 BA house with attached double car garage. (970)878-5191. 2 BDR duplex for rent. Call (970)208-5284. Commercial space available now, great Main St. location. 878-3433. 3 BDR homes available. Move in discount $150 off 1st month’s rent. For more info., call Rio Blanco Realty. 675-2251. SILVER SAGE RV PARK (970)675-2259 RV Spaces for rent. Owner: (970)675-8573. Manager: (970)675-2259 Peg’s cell (970)629-5574 Carl’s cell (970)629-5573. 2 BDR, 1.25 BA townhouse, fireplace, garage, washer & dryer hookups. No pets. $850/month. (970)620-0812. 1989 Oldsmobile Cutlass Ciera – $800. Call (970)629-2370 for more information. 1991 Ford F-150 4×4 pickup, in-line 6, ext. cab w/6 ft. bed. $1,250. (717)887-7490. 2005 Ford Expedition, Eddie Bauer edition, white, 4WD, automatic, loaded, leather seats, excellent condition. Asking $13,000 firm. 878-5503. FOR SALE: 2008 Extreme Mega-Lite 29 ft., Series M-25ST Travel Trailer (Toy Hauler). Please inquire at First National Bank of the Rockies, 222 West Main, Rangely, CO, for additional information. Ask for Lenora, Lissa, or Mandi. Sealed bids will be taken through April 15, 2010, with the bank reserving the right to refuse any and all bids. 2007 Rockwood 23 ft. pop-up camp trailer, loaded, excellent condition, $13,000 OBO. 675-8857. 2008 Outback 32 ft. toy hauler. Brand new, used once, luxury model, 2 slide-outs, excellent condition. Call 878-0900, must see! Rocky Mountain Auto-Craig. Selling quality used cars, with limited warranty, financing WAC, give us a call 824-5749, Dealer. Trailers, hitches, flatbeds, toolboxes, trailer service and truck accessories. We are a “one stop shop” truck and trailer outfitter. B&W gooseneck hitches $497 installed. Pine Country Trailer Sales, Grand Junction. 1-800-287-6532. Notification of meeting for the Rangely Town Council, Board of Trustees The Town of Rangely Town Council meetings are held on the 2nd and 4th Tuesday of every month starting at 7:00 p.m. in the Court Room at 209 E Main, Rangely, CO 81648. Agendas are posted in the lobby at Town Hall and at the Rangely District Library. The meetings are televised live on channel 3 through Bresnan Cable TV. All meetings are open to the public. Public Notice The Board of County Commissioners of Rio Blanco County Colorado will consider the following resolution on Monday, April 12, 2010, 11:15 a.m. County Administration Building, 317 E. Market Street, Meeker, Colorado: A RESOLUTION AMENDING THE RIO BLANCO COUNTY BUILDING CODE BY THE REPEAL OF RESOLUTION NO. 2005-8, WHICH PROVIDED FOR THE REGISTRATION OF CONTRACTORS AND CREATION OF A BOARD OF REVIEW AUTHORIZED UNDER C.R.S. 30-28-204. THE RIO BLANCO COUNTY BUILDING CODE SHALL BE AMENDED AS FOLLOWS: 1. The chapter entitled Contractor Registration, 2005-8, part A – Contractor Registration, part B – Enforcement, part C – Appeals, and part D – Violation and Penalty is hereby deleted in its entirety. Publish: March 25 and April 8, 2010 Rio Blanco Herald Times. PUBLIC NOTICE TOWN OF DINOSAUR MUNICIPAL ELECTION APRIL 6, 2010 TO: THE ELECTORS OF THE TOWN OF DINOSAUR, COLORADO: NOTICE is hereby given that a regular municipal election for the Town of Dinosaur will be held on Tuesday, April 6, 2010, between the hours of 7:00 A.M. and 7:00 P.M. The polling place for all electors of the Town for the election shall be at the Town Hall, 317 Stegosaurus Freeway, Dinosaur, Colorado. The following Town officers will be elected at such election: a Mayor (two-year term) and four members of the Town Board of Trustees (four year terms). The following are the candidates to be voted upon: MAYOR – Two-year term, One position Candidates: L.D. “Smitty” Smith. BOARD OF TRUSTEES – Four-year term, Four positions – Candidates: Richard A. Blakley, Jerry Jeffrey. Qualifications for person to vote in the Municipal Election are: attain the age of eighteen (18) years of age; be a citizen of the United States; be a resident of the Town of Dinosaur on or before March 5, 2010 and registered to vote for the Municipal Election by March 8, 2010. Any registered elector of the Town of Dinosaur, who, on the date of the Municipal Election, may be absent from the Town, may cast a ballot at such election by an absentee voter s ballot. Application for an absentee voter’s ballot may be made orally or in writing to the Town Clerk from this date forward until 5:00 o clock P.M. on Friday April 2, 2010. All absentee voter ballots to be cast in the Municipal Election must be received by the Town Clerk on or before 5:00 o clock P.M., Tuesday, April 6, 2010, Election Day. IN WITNESS WHEREOF, I have hereunto set my hand and official seal at Dinosaur, Colorado this 15th day of March, 2010. Tamara Long Town Clerk/Treasurer Published: March 25, 2010. Published in Rio Blanco Herald Times. 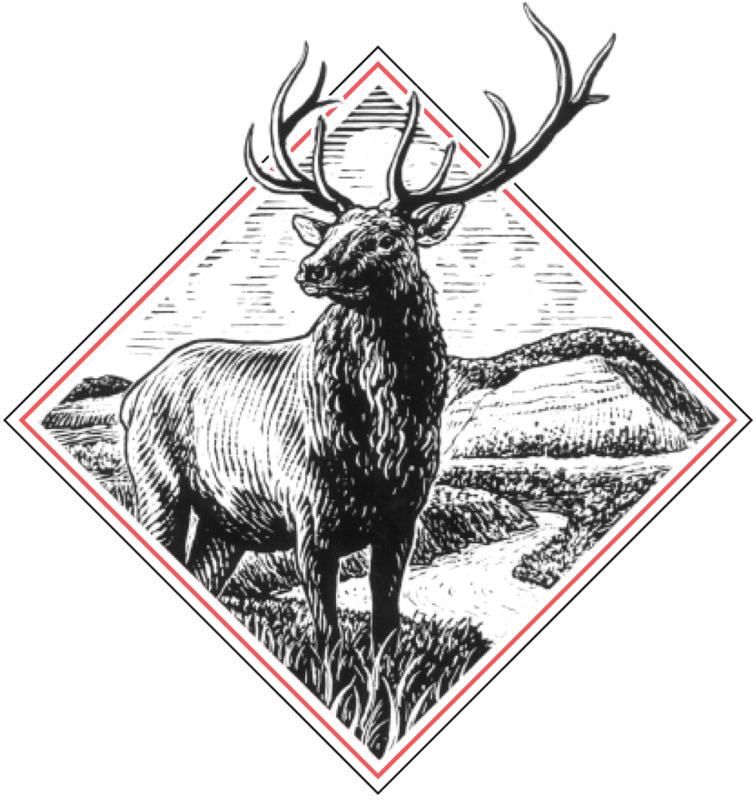 PUBLIC NOTICE – Bolton Fencing & Construction, PO Box 2530, Meeker, CO 81641, (970)878-4079, has filed an application for a Construction Materials Limited Impact (110) Reclamation Permit with the Colorado Mined Land Reclamation Board under provisions of the Colorado Land Reclamation Act for the Extraction of Construction Materials. The proposed mine known as the Gates 1, and is located at or near Section 30, Township 35, Range 103 West of the 6th Prime Meridian. The proposed date of commencement is March 8, 2010, and the proposed date of completion is April 30, 2010. The proposed future use of the land is Range land. Additional information and tentative decision date may be obtained from the Division of Reclamation, Mining, and Safety, 1313 Sherman Street, Room 215, Denver, Colorado 80203, (303)866-3567, or at the Rio Blanco County Clerk and Recorder’s office; 555 Main St., Meeker, CO or the above-named applicant. A complete copy of the application is available at the above-named County Clerk and Recorder’s office and at the Division’s office. Comments concerning the application and exhibits must be in writing and must be received by the Division of Reclamation, Mining, and Safety by 4:00 p.m. on 4/30/2010. Please note that under the provisions of C.R.S. 34-32.5-101 et seq. Comments related to noise, truck traffic, hours of operation, visual impacts, effects on property values and other social or economic concerns are issues not subject this Office’s jurisdiction. These subjects, and similar ones, are typically addressed by your local governments, rather than the Division of Reclamation, Mining, and Safety or the Mined Land Reclamation Board. Publish: March 25 and April 15, 2010 Rio Blanco Herald Times. PUBLIC NOTICE – The Ellison Mountain Sale is located within T1N, R91W, Sec. 2, 3, 10, 11, 14, 15, and 16 Rio Blanco County, CO. Sixth Principal Meridian. The Forest Service will receive sealed bids in public at Medicine Bow-Routt Supervisor’s Office, 2468 Jackson, Laramie, WY 82070 at 3:30 PM local time on 04/27/2010 for an estimated volume of 93 CCF of Live & Dead Engelmann Spruce sawtimber, 3753 CCF of Live & Dead Lodgepole Pine sawtimber and 244 CCF of Live True Fir & Other sawtimber marked or otherwise designated for cutting. In addition, there is within the sale area an un-estimated volume of Lodgepole Pine & other POL and Aspen, LP, & TF Sawlogs in Unit 2 that the bidder may agree to remove at a fixed rate. The Forest Service reserves the right to reject any and all bids. Interested parties may obtain a prospectus from the office listed below. A prospectus, bid form, and information concerning the conditions of sale is available at the Rifle Ranger District 0094 CR 244 Rifle, CO. 81650 please contact Travis Bruch (970) 625-6849. The USDA is an equal opportunity provider and employer. Published: March 25, 2010 Rio Blanco Herald Times. PUBLIC NOTICE TOWN OF MEEKER MUNICIPAL ELECTION APRIL 6, 2010, Re: Cancellation of Municipal Election. To: The Electors of the Town of Meeker, Colorado Please take notice that the regular Municipal Election of April 6, 2010 has been canceled by resolution of the Town Board of Trustees. As provided by the laws of the State of Colorado and ordinance of the Town of Meeker, the Town Board of Trustees has determined to cancel the election since there are no more candidates than offices to be filled at the municipal election, including write-in candidates filing affidavits of intent to hold office. If you have any questions regarding the cancellation of the municipal election, you may contact the Town Clerk, Lisa Cook, at the Meeker Town Hall, telephone number (970) 878-4962. Dated this 18th Day of March, 2010 Town of Meeker, /S/Lisa Cook, Town Clerk. Published: March 25, 2010 and April 1, 2010 Published in: Rio Blanco Herald Times. PUBLIC NOTICE – Notification that Rangely District Hospital continues the record destruction process initiated in 1994. Certain portions of the medical records of patients not seen in our facility for a minimum of 10 years will be destroyed. If you wish records to be retained, please contact the Medical Records dept. at (970)675-4233. Records of minors will not be destroyed until the patient reaches legal age plus 10 years. Publish: Mar. 25, Apr. 1 and 8, 2010 Rio Blanco Herald Times. TOWN OF DINOSAUR DISBURSEMENTS FOR FEBRUARY 2010. VENDOR, DESCRIPTION, TOTAL. Gross Salaries, $5,982.36; Contract Labor, $100.00; P.E.R.A. Monthly Contributions, $1,285.15; Colorado Dept. of Revenue, CWT, $138.00; First National Bank of the Rockies, FWT/Med, $417.50; Centurylink, Phone, Fax, $165.18; Gateway Services Gas, Oil, Grease, $918.79; Moon Lake Electric Electricity, $1,239.22; Rangely Trash Service Trash Service, $82.00; Rio Blanco Herald Times, Disbursements, $16.80; White River Electric, Internet, $49.95; Carter & Sands P.C. Professional Services, $226.30; Mesa County Health Department, Water tests, $20.00; Sav on Propane, Propane, $1,875.13; Dan’s Tire Tires, $451.80; Office Depot Envelopes, Paper, calendars, $128.14; Dinosaur Plumbing, Thawed water line, $120.00; Heritage Building Parts for picnic tables, $91.97; Gas Plus Norco, Oxygen & Acetylene tanks, $205.63; West State and Federal Court Rules, $158.00; Rangely Auto Parts, Wiper motor, $49.98; Petty Cash, Postage, bleach, cement, batteries, hose clamp, misc, $99.95; Colorado State Patrol, Dispatch, $1,240.00; Caselle Inc Support $723.00; Cirsa Insurance $500.00; TOTAL ACCOUNTS PAYABLE $16,284.85. Published: March 25, 2010 Rio Blanco Herald Times. PUBLIC NOTICE – INVITATION TO BID: New or Used John Deere Tractor Notice is hereby given that bid proposals, for a new or used John Deere Tractor, will be accepted at Town Hall, 345 Market Street, Meeker, CO until Monday, April 5, 2010 at 3:30 P.M. at which time the proposals will be publicly opened and read aloud. 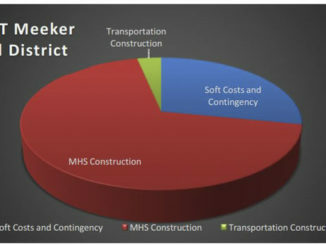 The bid will be awarded at the April 12, 2010 Board Meeting to be held at 7:00 P.M. at Town Hall, 345 Market Street in Meeker. The specifications are: John Deere Tractor, Engine – 50-65 HP Diesel, PTO – HP 40-55 – Independent 540 RPM, Universal three point hitch 2/1 convertible, fully enclosed cab, low hours 2500 or less, FOB Meeker. Must have good tires. The Town reserves the right to reject any and all bids; to change, add, or amend the specifications; to waive any informalities; and the right to disregard all nonconforming or conditional bids or counter proposals. Each proposal shall be reviewed and considered consistent with the provisions of the Town of Meeker Personnel Policy and Procedures Manual. The bid proposal must be placed in an envelope, securely sealed and labeled “Meeker 2010 Used Tractor Bid” and be received no later than Monday, April 5, 2010 at 3:30 P.M. FAXED or emailed bids are also acceptable. Contact Russell Overton, Public Works Superintendent at 970-942-7555 or Sharon Day, Town Administrator, 970-878-4960 for additional information. Published: March 25, 2010 Rio Blanco Herald Times. INVITATION FOR BIDS CLOSING BID DATE- April 07, 2010,TOWN OF MEEKER, 345 Market Street, MEEKER, CO 81641. Sealed BIDS to furnish and install approximately 20,000 pounds of hot-pour, Deery American Super stretch 974, in the Town of Meeker. Please bid as follows: Clean cracks, furnish and install crack sealant all performed by bidder. The closing bid date is Wednesday, April 7, 2010 at 3:30 p.m. at which time bids will be opened and read aloud. 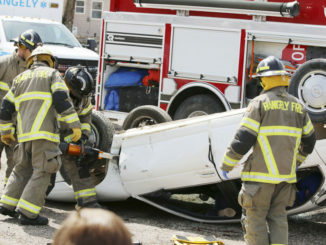 The Town Board of Trustees will award the bid on Monday, April 12, 2009 at Town Hall (basement) 345 Main Street, Meeker. The successful bidder must maintain workers compensation, general liability insurance in the amount of no less than $1,000,000.00 during the project. The Town reserves the right to reject any and all bids and waive any and all informalities, and the right to disregard all nonconforming or conditional bids or counter proposals. Contract award and preference will be based upon The Town of Meeker Personnel Policy and Procedures manual, entitled “Contracts-Award-Preference”. More Information is Available by Russell Overton 970)878-5530or 878-5344. Bids shall be mailed or delivered to Town of Meeker, 345 Market St., Meeker, Co 81641 or faxed to (970)878-4513. Mailed bids shall be sealed and “Meeker 2010 Hot Pour Crack Filling Project Bid” shall be written upon the front of the envelope. Specifications are available at Town Hall, 345 Market St., Meeker, CO 81641 or requested by telephone at (970)878-5344. THE BOARD OF TRUSTEES OF THE TOWN OF MEEKER Sharon Day, Town Administrator Publish: Mar. 25 & Apr. 1, 2010 Rio Blanco Herald Times. RESOLUTION No. 6 Series 2010. A RESOLUTION OF THE BOARD OF TRUSTEES OF THE TOWN OF MEEKER, COLORADO, CONCERNING THE CANCELLATION OF THE TOWN OF MEEKER REGULAR ELECTION TO BE HELD ON APRIL 6, 2010 AND DECLARING THE CANDIDATES FOR THE OFFICES OF MAYOR AND BOARD OF TRUSTEES BE DECLARED ELECTED TO THEIR RESPECTIVE OFFICES. WHEREAS, the Town of Meeker is scheduled to hold its regular municipal election on April 6, 2010, and the only matter before the voters at said election is the election of candidates to the office of Mayor, a two (2) year term, and office of the Board of Trustees, three members each for four (4) year terms; and, WHEREAS, pursuant to the Colorado Municipal Election Code of 1965 and Meeker Municipal Code, no write-in vote for any municipal office shall be counted unless an affidavit of intent has been filed with the Town Clerk by the person whose name is to be a write-in candidate, prior to twenty days before the date of the election, indicating that such person desires the office and is qualified to assume the duty of that office, if elected; and, WHEREAS, pursuant to law, if the only matter before the voters in a municipal election is the election of persons to office and there are no more candidates than offices to be filled at such election, including persons filing affidavits of intent for write-in candidate, the Town Board has the authority to cancel the municipal election and by resolution declare the candidates for each office to be elected; and, WHEREAS, last day for a person to file, with the Town Clerk, an affidavit of intent for write-in candidate for the Town election is March 16, 2010; and, WHEREAS, the last regular Town Board meeting to be held prior to the April 6, 2010 election day is scheduled on March 16, 2010; and, WHEREAS, upon the information provided by the Town clerk, the Board of Trustees finds that, as of the date of this resolution, there is one candidate for the office of Mayor, there are three candidates for the three 4 year terms of office for the Board of Trustees and there have been no affidavits of intent for write-in candidate for said offices received by the Town Clerk; and, WHEREAS, the Town Board has determined that it would be in the best interest of the Town in order to provide for the efficient administration of Town government and to minimize the financial expenditures related to the 2010 Town election to cancel the Town’s 2010 election for the reasons stated above. NOW, THEREFORE, BE IT RESOLVED BY THE BOARD OF TRUSTEES OF THE TOWN OF MEEKER, COLORADO, that the Town of Meeker 2010 regular election to elect a mayor and three members to the Town Board of Trustees is hereby declared cancelled. FURTHERMORE, BE IT RESOLVED by the Town Board of Trustees that the following candidates for the offices of mayor and members of the Town Board of Trustees be declared elected: Mayor (2-year term) MANDI ETHERIDGE. Board of Trustees (4-year term) REGAS K. HALANDRAS. Board of Trustees (4-year term) RODNEY R. GERLOFF. Board of Trustees (4-year term) DANNY P. CONRADO. Upon the adoption of this resolution, the aforementioned candidates shall be declared elected to their respective offices. BE IT FURTHER RESOLVED that the Town Clerk is instructed to cancel said election and forthwith provide public notice to the electors of the Town of Meeker with notification of the cancellation of the regular municipal election which was to be held on Tuesday, April 6, 2010, said notice shall be published in the Rio Blanco Herald Times and posted at: the polling place, the Fairfield Center; at the west and south doors of the Rio Blanco County Courthouse; and the front door of Town Hall, prior to the scheduled election date. PASSED, ADOPTED AND APPROVED this 16th day of March, 2010, by the Board of Trustees of the Town of Meeker. 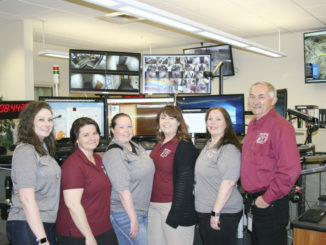 BOARD OF TRUSTEES TOWN OF MEEKER ATTEST: LISA COOK, Town Clerk By: MANDI ETHERIDGE, Mayor. Published: March 25, 2010 in Rio Blanco Herald Times. OIL AND GAS CONSERVATION COMMISSION OF THE STATE OF COLORADO PUBLIC NOTICE OF PROPOSED UNDERGROUND INJECTION CONTROL PERMIT PURPOSE OF PUBLIC NOTICE: The purpose of this notice is to solicit public comment on the proposed N. Parachute WF10D M14 596 disposal well, a Class II injection permit application submitted by EnCana Oil & Gas (USA) Inc. The N. Parachute WF10D M14 596 disposal well has been drilled at a location 1003 feet from the south line and 336 feet from the west line of Section 14, Township 5 South, Range 96 West, 6th P.M., Garfield County, Colorado. BACKGROUND – Class II injection wells are permitted and regulated in such a manner as to prevent the contamination of underground sources of drinking water and to ensure fluid emplacement and confinement within the permitted injection zones. Class II injection wells are permitted to inject waste generated from oil and gas exploratory and production operations. EnCana Oil & Gas (USA) Inc. has proposed to inject these fluids into the Williams Fork formation in the N. Parachute WF10D M14 596 well through perforations at depths of approximately 5954 to 6889 feet. The total measured depth of the N. Parachute WF10D M14 596 well is 9375 feet and the well is plugged back to 9281 feet. Public comments are encouraged and will be accepted in writing at the Commission for a period of thirty (30) days after publication of this notice. If any data, information, or arguments submitted during the public comment period appear to raise substantial questions concerning the proposed injection well permit, the Director may request that the Commission hold a hearing on the matter. Additional information on the operation of the proposed injection well may be obtained at the Commission office. IN THE NAME OF THE STATE OF COLORADO, OIL AND GAS CONSERVATION COMMISSION OF THE STATE OF COLORADO, By /s/Denise M. Onyskiw, Denise M. Onyskiw, P.E., Underground Injection Control Program Supervisor Dated at 1120 Lincoln St., Suite 801 Denver, Colorado 80203 March 18, 2010 Published: February 4, 2010 in Rio Blanco Herald Times. Public Lands Proposed Actions – The Bureau of Land Management is currently analyzing the potential environmental impacts of the proposed actions listed below. If approved, these actions will take place on public lands within Rio Blanco (RBC), Moffat (MC), and Garfield (GC) Counties. For a complete list of current and completed actions, please view our webpage at http://www.blm.gov/co/st/en/BLM_Information/nepa/wrfo.html or contact the White River Field Office at 970-878-3800 for additional information. Document Name; Project Name; Legal Description; Applicant. DOI-BLM-CO-110-2010-0009-EA; Five Notice of Stakings (NOSs); T2S R96W Sec 6, 18; T2S R97W Sec 10; ExxonMobil Production. DOI-BLM-CO-110-2010-0023-EA; ETC Canyon pipeline repair; T1S R101W Sec 19, 33; ETC Canyon. DOI-BLM-CO-110-2010-0025-EA; East Pinto Gulch Well; T1N R98W Sec13; BLM / WRFO, Burke Brothers. DOI-BLM-CO-110-2010-0034-EA; FRU 197-21A1-21A10 (10 APDs/wells); T1S R97W Sec 21; ExxonMobil Corporation. DOI-BLM-CO-110-2010-0045-EA; Four NOS’s PCU 296-18B1,196-30A1, 196-19A1, 297-2C1; T2S R96W Sec18; T1S R96W Sec 30; T1SR96W Sec19; T2S R97W Sec 2; ExxonMobil Corporation. DOI-BLM-CO-110-2010-0050-EA; Cottonwood Draw Grazing Permit Renewal; T6N R103W Sec 30, 31, 32; Jon Snow. DOI-BLM-CO-110-2010-0055-EA; Grazing Permit Renewal Cathedral Bluffs Allotment; T1N R101W Sec 29,32-35; T1S R101W Sec 2-5,8-11,14-17,21-28,34-36; T1S R100W Sec 30,31; T2S R101W Sec 1-3,10-15,22-26; T2S R100W Sec 6-8,17-20,29-33; T3S R100W Sec 3-5,9,10,15,16,21-23,25-29,32-36; T3S R99W Sec 30;T4S R101W Sec 24,25,35,36; T4S R100W Sec 1-9,16-20,29,30; T5S R101W Sec 1,2,11-14,23; W.R. Withers, Jr., Powell 4-A Ranch. DOI-BLM-CO-110-2010-0059-EA; Missouri Creek Road Improvement; T3S R103W Sec 19, 20, 28, 29, 33; T4S R103W Sec 4, 9, 15 ,16; BLM / WRFO. DOI-BLM-CO-110-2010-0064-EA; Short Term Access Road Shale Tech; T1S R99W Sec 10, 11, 15, 16, 20; T1S R100W Sec 24; Shale Tech International. DOI-BLM-CO-110-2010-0066-EA 2010; Genesis’ Fletcher Gulch 8 well project; T2N R100W Sec 33, 34, 35; T1N R100W Sec 2, 3, 4, 10; Genesis Gas and Oil. DOI-BLM-CO-110-2010-0080-EA; Water Fork Pipeline Project; T2S R97W Sec 29, 32; Bargath, Inc. DOI-BLM-CO-110-2010-0082-EA; Ryan Gulch Plant Expansion; T2S R97W Sec 7; T2S R98W Sec 1, 12; Bargath, Inc.. DOI-BLM-CO-110-2010-0088-EA; West Douglas Wild Horse Gather; T1N R101W Sec 31; T1N R102W Sec 34 – 36; T1S R101W, Sec 6, 7, 18 – 20, 28, 29, 33;T1S R102W Sec 1 – 4, 8 – 36; T1S R103W Sec 9 – 36; T2S R101W Sec 4 – 9, 16 – 21, 28 – 33; T2S R102W Sec: All; T2S R103W Sec 1 – 18, 21 – 27, 33 – 36; T3S R101W Sec 5 – 7, 18, 19; T3S R102W Sec: All; T3S R103W Sec 1 – 5, 9 -15, 24, 25, 35, 36; T4S R102W Sec 2 – 10, 16, 17; T4S R103W Sec 1, 2, 11 – 13; BLM / WRFO. DOI-BLM-CO-110-2010-0089-EA; Piceance-East Douglas Wild Horse Gather; T1N R97W Sec 2-24; T1N R98W Sec 1-36; T1N R99W Sec 1-20, 30, 31;T1N R101W Sec 1-36; T2N R97W Sec 18-20, 28-34; T2N R98W Sec 2-36; T1S R98W Sec 1-36; T1S R100W Sec 19, 29-32; T1S R101W Sec 1-4, 9-15, 22-26, 36; T2S R98W Sec 1-36; T2S R99W Sec 1-36; T2S R100W Sec 1-36; BLM / WRFO. DOI-BLM-CO-110-2010-0091-EA; Timber/Hyberger HPP Brush Chop 2010; T2S R94W Sec 18; Colorado Division of Wildlife. DOI-BLM-CO-110-2010-0103-EA; Slash EV Pasture Fence; T2S R97W Sec 22; Slash EV Ranch. DOI-BLM-CO-110-2010-0115-EA; ExxonMobil PCU 296-18A1-A10, 10 wells; T2S R96W Sec 18; ExxonMobil Corporation. Published: March 25, 2010 in Rio Blanco Herald Times. COMBINED NOTICE OF SALE, RIGHT TO CURE, AND RIGHT TO REDEEM PUBLIC TRUSTEE FORECLOSURE NUMBER 09-50. To Whom It May Concern: This Notice is given with regard to the following described Deed of Trust: On December 10, 2009, the undersigned Public Trustee caused the Notice of Election and Demand relating to the Deed of Trust described below to be recorded in the Rio Blanco County records. Original Grantor(s): Garrett Sherrouse and Brittany Sherrouse; Original Beneficiary: Mortgage Electronic Registration Systems, Inc. acting solely as nominee for E*Trade Wholesale Lending Corp. Current Holder of Evidence of Debt: GMAC MORTGAGE, LLC; Date of Deed of Trust: 3/8/2007; County of Recording: Rio Blanco; Recording Date of Deed of Trust: 3/8/2007; Reception No. : 287962; Original Principal Balance: $191,920.00; Outstanding Principal Balance: $188,649.09. Pursuant to C.R.S. ¬ß38-38-101(4)(i), you are hereby notified that the covenants of the deed of trust have been violated as follows: Failure to pay principal and interest when due together with all other payments provided for in the Evidence of Debt secured by the Deed of Trust and other violations thereof. THE LIEN FORECLOSED MAY NOT BE A FIRST LIEN. THE PROPERTY DESCRIBED HEREIN IS ALL OF THE PROPERTY CURRENTLY ENCUMBERED BY THE LIEN OF THE DEED OF TRUST. LOT 2, BLOCK 1 OF PAINTBRUSH RIDGE SUBDIVISION, ACCORDING TO THE PLAT THEREOF FILED MAY 17, 2002 AS RECEPTION NO. 272416. WHICH HAS THE ADDRESS OF: 1027 Jill Circle, Meeker, CO 81641. NOTICE OF SALE – The current owner of the Evidence of Debt secured by the Deed of Trust described herein, has filed notice of election and demand for sale as provided by law and in said Deed of Trust. THEREFORE, Notice Is Hereby Given that I will at public auction, at 10:00 A.M. on Wednesday, 04/14/2010 at Office of the Public Trustee, Rio Blanco County Courthouse, 555 Main Street, Meeker CO 81641, sell to the highest and best bidder for cash, the said real property and all interest of the said Grantor(s), Grantor(s)’ heirs and assigns therein, for the purpose of paying the indebtedness provided in said Evidence of Debt secured by the Deed of Trust, plus attorneys’ fees, the expenses of sale and other items allowed by law, and will execute and record a Certificate of Purchase, all as provided by law. First Publication: 2/25/2010. Last Publication: 3/25/2010. Name of Publication: Rio Blanco Herald Times. NOTICE OF RIGHTS – YOU MAY HAVE AN INTEREST IN THE REAL PROPERTY BEING FORECLOSED, OR HAVE CERTAIN RIGHTS OR SUFFER CERTAIN LIABILITIES PURSUANT TO COLORADO STATUTES AS A RESULT OF SAID FORECLOSURE. YOU MAY HAVE THE RIGHT TO REDEEM SAID REAL PROPERTY OR YOU MAY HAVE THE RIGHT TO CURE A DEFAULT UNDER THE DEED OF TRUST BEING FORECLOSED. A COPY OF SAID STATUTES, AS SUCH STATUTES ARE PRESENTLY CONSTITUTED, WHICH MAY AFFECT YOUR RIGHTS, IS ATTACHED TO ALL MAILED COPIES OF THIS NOTICE. HOWEVER, YOUR RIGHTS MAY BE DETERMINED BY PREVIOUS STATUTES. A NOTICE OF INTENT TO CURE FILED PURSUANT TO C.R.S. ¬ß38-38-104 SHALL BE FILED WITH THE PUBLIC TRUSTEE AT LEAST FIFTEEN (15) CALENDAR DAYS PRIOR TO THE FIRST SCHEDULED SALE DATE OR ANY DATE TO WHICH THE SALE IS CONTINUED. A NOTICE OF INTENT TO REDEEM FILED PURSUANT TO C.R.S. ¬ß38-38-302 SHALL BE FILED WITH THE PUBLIC TRUSTEE WITHIN EIGHT (8) BUSINESS DAYS FOLLOWING THE SALE. DATE: 12/14/2009. Karen Arnold, Public Trustee of Rio Blanco County, State of Colorado /s/Karen Arnold, By: Karen Arnold, Public Trustee, ( S E A L ) PUBLIC TRUSTEE RIO BLANCO CO COLO. The name, address, telephone number and bar registration number of the attorney(s) representing the legal holder of the indebtedness is: Robert J. Aronowitz, Esq. #5673, Joan Olson, Esq. #28078, Joel T. Mecklenberg, Esq. #36291, Marcy McDermott, Esq #38030, Stacey L. Aronowitz, Esq. #36290. Aronowitz & Mecklenburg, L.L.P. 1199 Bannock Street, Denver, CO 80204 (303) 813-1177. The Attorney above is acting as a debt collector and is attempting to collect a debt. Any information provided may be used for that purpose. Attorney file number: 1269.02714. (c)Colorado Public Trustee Association Rev 07/09. COMBINED NOTICE CRS ¬ß38-38-103 FORECLOSURE SALE NO. 10-01. To Whom It May Concern: This Notice is given with regard to the following described Deed of Trust: On January 11, 2010, the undersigned Public Trustee caused the Notice of Election and Demand relating to the Deed of Trust described below to be recorded in the County of Rio Blanco records. Original Grantor(s): Michael H. Sanford and Ashley N. Steele; Original Beneficiary(ies): Mortgage Electronic Registration Systems, Inc., as nominee for Fidelity Mortgage Company; Current Holder of Evidence of Debt: Wells Fargo Bank, N.A. ; Date of Deed of Trust: 6/25/2008; County of Recording: Rio Blanco Recording Date of Deed of Trust: 6/26/2008; Recording Reception Number: 292753; Original Principal Amount: $124,000.00; Outstanding Principal Balance: $122,931.01. Pursuant to CRS ¬ß38-38-101(4)(i), you are hereby notified that the covenants of the deed of trust have been violated as follows: Failure to pay principal and interest when due together with all other payments provided for in the Evidence of Debt secured by the Deed of Trust and other violations thereof. THE LIEN FORECLOSED MAY NOT BE A FIRST LIEN. THE PROPERTY DESCRIBEDHEREIN IS ALL OF THE PROPERTY CURRENTLY ENCUMBERED BY THE LIEN OF THE DEED OF TRUST. NORTH 31 FEET OF LOT 7 AND THE SOUTH 19 FEET OF LOT 6 BLOCK G WHITE SUBDIVISION ACCORDING TO THE PLAT THEREOF FILED FEBRUARY 23, 1946 AS RECEPTION NO. 69377 TOWN OF RANGELY, COLORADO Also known by street and number as: 136 South Grand Avenue, Rangely, CO 81648 NOTICE OF SALE – The current holder of the Evidence of Debt secured by the Deed of Trust, described herein, has filed Notice of Election and Demand for sale as provided by law and in said Deed of Trust. THEREFORE, Notice Is Hereby Given that I will at public auction, at 10:00 A.M. on Wednesday, 05/12/2010, at Office of the Public Trustee, Rio Blanco County Courthouse, 555 Main Street, Meeker CO 81641, sell to the highest and best bidder for cash, the said real property and all interest of the said Grantor(s), Grantor(s)’ heirs and assigns therein, for the purpose of paying the indebtedness provided in said Evidence of Debt secured by the Deed of Trust, plus attorneys’ fees, the expenses of sale and other items allowed by law, and will issue to the purchaser a Certificate of Purchase, all as provided by law. First Publication: 3/25/2010. Last Publication: 4/22/2010. Name of Publication: Rio Blanco Herald Times. NOTICE OF RIGHTS – YOU MAY HAVE AN INTEREST IN THE REAL PROPERTY BEING FORECLOSED, OR HAVE CERTAIN RIGHTS OR SUFFER CERTAIN LIABILITIES PURSUANT TO COLORADO STATUTES AS A RESULT OF SAID FORECLOSURE. YOU MAY HAVE THE RIGHT TO REDEEM SAID REAL PROPERTY OR YOU MAY HAVE THE RIGHT TO CURE A DEFAULT UNDER THE DEED OF TRUST BEING FORECLOSED. A COPY OF SAID STATUTES, AS SUCH STATUTES ARE PRESENTLY CONSTITUTED, WHICH MAY AFFECT YOUR RIGHTS, IS ATTACHED TO ALL MAILED COPIES OF THIS NOTICE. HOWEVER, YOUR RIGHTS MAY BE DETERMINED BY PREVIOUS STATUTES. A NOTICE OF INTENT TO CURE FILED PURSUANT TO SECTION 38-38-104 SHALL BE FILED WITH THE PUBLIC TRUSTEE AT LEAST FIFTEEN (15) CALENDAR DAYS PRIOR TO THE FIRST SCHEDULED SALE DATE OR ANY DATE TO WHICH THE SALE IS CONTINUED; A NOTICE OF INTENT TO REDEEM FILED PURSUANT TO SECTION 38-38-302 SHALL BE FILED WITH THE PUBLIC TRUSTEE WITHIN EIGHT (8) BUSINESS DAYS FOLLOWING THE SALE; DATE: 01/12/2010. Karen Arnold, Public Trustee of Rio Blanco County, State of Colorado /s/Karen Arnold, By: Karen Arnold, Public Trustee, ( S E A L ) PUBLIC TRUSTEE RIO BLANCO CO COLO. The name, address, telephone number and bar registration number of the attorney(s) representing the legal holder of the indebtedness is: Christa Kilk #29855, Elizabeth S. Marcus #16092, Britney Beall-Eder #34935, Christopher T. Groen #39976, Jeffrey C. Gaston #40389, Andrea Rickles-Jordan #39005, Caren Jacobs Castle #11790, Barbara A. Bader #10394, Cristel D. Shepherd #39351, Kimberly L. Martinez #40351, Jason C. Hilliard #40859, Deanne R. Stodden #33214, Jennifer C. Rogers #34682, Katharine E. Fisher #39230, Peter C. DeCamillis #38929, Keith A. Gantenbein, Jr. #39213 Castle, Meinhold & Stawiarski LLC 999 18TH ST., #2201, DENVER, CO 80202 (303) 865-1400 The Attorney above is acting as a debt collector and is attempting to collect a debt. Any information provided may be used for that purpose. Attorney file #: 09-30492 (c)Colorado Public Trustees’ Association Revised 12/2009. COMBINED NOTICE CRS ¬ß38-38-103 FORECLOSURE SALE NO. 10-02. To Whom It May Concern: This Notice is given with regard to the following described Deed of Trust: On January 11, 2010, the undersigned Public Trustee caused the Notice of Election and Demand relating to the Deed of Trust described below to be recorded in the County of Rio Blanco records. Original Grantor(s): John W. Titmus; Original Beneficiary(ies): Mortgage Electronic Registration Systems, Inc., as nominee for Intermountain Industries, Inc. d/b/a Major Mortgage USA, A Colorado Corporation; Current Holder of Evidence of Debt: Wells Fargo Bank, N.A. Date of Deed of Trust: 8/8/2008; County of Recording: Rio Blanco Recording Date of Deed of Trust: 8/11/2008; Recording Reception Number: 293224; Original Principal Amount: $89,814.00; Outstanding Principal Balance: $89,014.08. Pursuant to CRS ¬ß38-38-101(4)(i), you are hereby notified that the covenants of the deed of trust have been violated as follows: Failure to pay principal and interest when due together with all other payments provided for in the Evidence of Debt secured by the Deed of Trust and other violations thereof. THE LIEN FORECLOSED MAY NOT BE A FIRST LIEN. THE PROPERTY DESCRIBED HEREIN IS ALL OF THE PROPERTY CURRENTLY ENCUMBERED BY THE LIEN OF THE DEED OF TRUST. THE EAST NINETY FEET OF LOT 9, BLOCK H, WHITE ADDITION ACCORDING TO THE PLAT THEREOF FILED MAY 16, 1946 AS RECEPTION NO. 69900, TOWN OF RANGELY, COUNTY OF RIO BLANCO, STATE OF COLORADO. Also known by street and number as: 118 W Bell Street, Rangely, CO 81648 NOTICE OF SALE The current holder of the Evidence of Debt secured by the Deed of Trust, described herein, has filed Notice of Election and Demand for sale as provided by law and in said Deed of Trust. THEREFORE, Notice Is Hereby Given that I will at public auction, at 10:00 A.M. on Wednesday, 05/12/2010, at Office of the Public Trustee, Rio Blanco County Courthouse, 555 Main Street, Meeker CO 81641, sell to the highest and best bidder for cash, the said real property and all interest of the said Grantor(s), Grantor(s)’ heirs and assigns therein, for the purpose of paying the indebtedness provided in said Evidence of Debt secured by the Deed of Trust, plus attorneys’ fees, the expenses of sale and other items allowed by law, and will issue to the purchaser a Certificate of Purchase, all as provided by law. First Publication: 3/25/2010, Last Publication: 4/22/2010, Name of Publication: Rio Blanco Herald Times. NOTICE OF RIGHTS – YOU MAY HAVE AN INTEREST IN THE REAL PROPERTY BEING FORECLOSED, OR HAVE CERTAIN RIGHTS OR SUFFER CERTAIN LIABILITIES PURSUANT TO COLORADO STATUTES AS A RESULT OF SAID FORECLOSURE. YOU MAY HAVE THE RIGHT TO REDEEM SAID REAL PROPERTY OR YOU MAY HAVE THE RIGHT TO CURE A DEFAULT UNDER THE DEED OF TRUST BEING FORECLOSED. A COPY OF SAID STATUTES, AS SUCH STATUTES ARE PRESENTLY CONSTITUTED, WHICH MAY AFFECT YOUR RIGHTS, IS ATTACHED TO ALL MAILED COPIES OF THIS NOTICE. HOWEVER, YOUR RIGHTS MAY BE DETERMINED BY PREVIOUS STATUTES. A NOTICE OF INTENT TO CURE FILED PURSUANT TO SECTION 38-38-104 SHALL BE FILED WITH THE PUBLIC TRUSTEE AT LEAST FIFTEEN (15) CALENDAR DAYS PRIOR TO THE FIRST SCHEDULED SALE DATE OR ANY DATE TO WHICH THE SALE IS CONTINUED; A NOTICE OF INTENT TO REDEEM FILED PURSUANT TO SECTION 38-38-302 SHALL BE FILED WITH THE PUBLIC TRUSTEE WITHIN EIGHT (8) BUSINESS DAYS FOLLOWING THE SALE; DATE: 01/12/2010. Karen Arnold, Public Trustee of Rio Blanco County, State of Colorado /s/Karen Arnold, By: Karen Arnold, Public Trustee, ( S E A L ) PUBLIC TRUSTEE RIO BLANCO CO COLO. The name, address, telephone number and bar registration number of the attorney(s) representing the legal holder of the indebtedness is: Christa Kilk #29855, Elizabeth S. Marcus #16092, Britney Beall-Eder #34935, Christopher T. Groen #39976, Jeffrey C. Gaston #40389, Andrea Rickles-Jordan #39005, Caren Jacobs Castle #11790, Barbara A. Bader #10394, Cristel D. Shepherd #39351, Kimberly L. Martinez #40351, Jason C. Hilliard #40859, Deanne R. Stodden #33214, Jennifer C. Rogers #34682, Katharine E. Fisher #39230, Peter C. DeCamillis #38929, Keith A. Gantenbein, Jr. #39213 Castle, Meinhold & Stawiarski LLC 999 18TH ST., #2201, DENVER, CO 80202 (303) 865-1400 The Attorney above is acting as a debt collector and is attempting to collect a debt. Any information provided may be used for that purpose. Attorney file #: 09-29438 (c)Colorado Public Trustees’ Association Revised 12/2009. COMBINED NOTICE CRS ¬ß38-38-103 FORECLOSURE SALE NO. 10-03. To Whom It May Concern: This Notice is given with regard to the following described Deed of Trust: On January 13, 2010, the undersigned Public Trustee caused the Notice of Election and Demand relating to the Deed of Trust described below to be recorded in the County of Rio Blanco records. Original Grantor(s): John E Garner Original Beneficiary(ies): Mortgage Electronic Registration Systems, Inc., acting solely as nominee for Moncor, Inc. Current Holder of Evidence of Debt: CitiMortgage, Inc. Date of Deed of Trust: 2/25/2009 County of Recording: Rio Blanco Recording Date of Deed of Trust: 3/2/2009 Recording Reception Number: 295138 Original Principal Amount: $153,064.00 Outstanding Principal Balance: $152,743.62 Pursuant to CRS 38-38-101(4)(i), you are hereby notified that the covenants of the deed of trust have been violated as follows: Failure to pay principal and interest when due together with all other payments provided for in the Evidence of Debt secured by the Deed of Trust and other violations thereof. THE LIEN FORECLOSED MAY NOT BE A FIRST LIEN. THE PROPERTY DESCRIBED HEREIN IS ALL OF THE PROPERTY CURRENTLY ENCUMBERED BY THE LIEN OF THE DEED OF TRUST. Lots 57 and 58 and the West 35 feet of Lot 59 Calvat Subdivision according to the Plat thereof filed May 5, 1945 as Document No. 67909 Town of Rangely, County of Rio Blanco, State of Colorado Also known by street and number as: 730 Lake Street, Rangely, CO 81648 NOTICE OF SALE The current holder of the Evidence of Debt secured by the Deed of Trust, described herein, has filed Notice of Election and Demand for sale as provided by law and in said Deed of Trust. THEREFORE, Notice Is Hereby Given that I will at public auction, at 10:00 A.M. on Wednesday, 05/12/2010, at Office of the Public Trustee, Rio Blanco County Courthouse, 555 Main Street, Meeker CO 81641, sell to the highest and best bidder for cash, the said real property and all interest of the said Grantor(s), Grantor(s)’ heirs and assigns therein, for the purpose of paying the indebtedness provided in said Evidence of Debt secured by the Deed of Trust, plus attorneys’ fees, the expenses of sale and other items allowed by law, and will issue to the purchaser a Certificate of Purchase, all as provided by law. First Publication: 3/25/2010, Last Publication: 4/22/2010, Name of Publication: Rio Blanco Herald Times. NOTICE OF RIGHTS – YOU MAY HAVE AN INTEREST IN THE REAL PROPERTY BEING FORECLOSED, OR HAVE CERTAIN RIGHTS OR SUFFER CERTAIN LIABILITIES PURSUANT TO COLORADO STATUTES AS A RESULT OF SAID FORECLOSURE. YOU MAY HAVE THE RIGHT TO REDEEM SAID REAL PROPERTY OR YOU MAY HAVE THE RIGHT TO CURE A DEFAULT UNDER THE DEED OF TRUST BEING FORECLOSED. A COPY OF SAID STATUTES, AS SUCH STATUTES ARE PRESENTLY CONSTITUTED, WHICH MAY AFFECT YOUR RIGHTS, IS ATTACHED TO ALL MAILED COPIES OF THIS NOTICE. HOWEVER, YOUR RIGHTS MAY BE DETERMINED BY PREVIOUS STATUTES. A NOTICE OF INTENT TO CURE FILED PURSUANT TO SECTION 38-38-104 SHALL BE FILED WITH THE PUBLIC TRUSTEE AT LEAST FIFTEEN (15) CALENDAR DAYS PRIOR TO THE FIRST SCHEDULED SALE DATE OR ANY DATE TO WHICH THE SALE IS CONTINUED; A NOTICE OF INTENT TO REDEEM FILED PURSUANT TO SECTION 38-38-302 SHALL BE FILED WITH THE PUBLIC TRUSTEE WITHIN EIGHT (8) BUSINESS DAYS FOLLOWING THE SALE; DATE: 01/14/2010. Karen Arnold, Public Trustee of Rio Blanco County, State of Colorado /s/Karen Arnold, By: Karen Arnold, Public Trustee, ( S E A L ) PUBLIC TRUSTEE RIO BLANCO CO COLO. The name, address, telephone number and bar registration number of the attorney(s) representing the legal holder of the indebtedness is: Robert J. Aronowitz, Esq. #5673, Joan Olson, Esq. #28078, Joel T. Mecklenberg, Esq. #36291, Marcy McDermott, Esq #38030, Stacey L. Aronowitz, Esq. #36290 Aronowitz & Mecklenburg, L.L.P. 1199 Bannock Street, Denver, CO 80204 (303) 813-1177 The Attorney above is acting as a debt collector and is attempting to collect a debt. Any information provided may be used for that purpose. Attorney file #: 1175.12765 (c)Colorado Public Trustees’ Association Revised 12/2009.